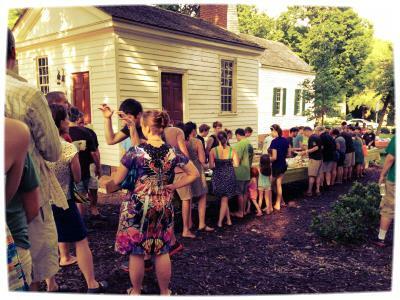 Join your neighbors for our annual potluck and picnic! Sunday, June 30, at the Mordecai Historic Park. Sunday, June 30, 4:30 p.m.
Bring a blanket, some lawn chairs, your favorite salad or side dish and relax under a shady tree during the 4:30-5:30 p.m. social hour. Then dig into some delicious barbeque and sample all of the potluck dishes. This is an alcohol-free event, so bring the entire family. We need six people to help with set-up, one more person to help at the nametag table, one additional person to make BBQ sandwiches, and three to help with clean-up. If you can help out with the event, please sign up. Thanks!